This campaign ended on November 28, 2018, but you can still make a gift to University of Indianapolis by clicking here! Become an advocate by spreading the word about UIndy's #GivingTuesday campaign. When you generate one or more gifts, we will send you a "UIndy alumni" decal. Click on the "Advocates" tab to get started. Help us build healthier communities. Generate 5 or more gifts and you will receive a special social media shout out from UIndy! Join UIndy as we celebrate a global day for giving back! Together we can build healthier communities. At UIndy, we embrace a holistic approach to improving wellness in every sense of the word—physical, mental, community, and social health. Greyhounds live out our motto—Education for Service—every day while healing the sick, counseling those in need, building community programs, and more! 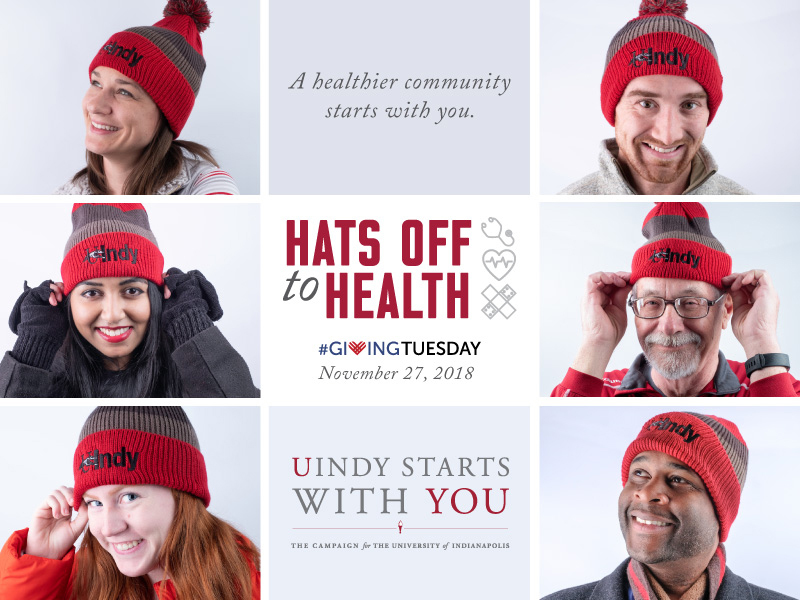 When you make a gift of at least $27 to the University of Indianapolis, you will be supporting the many programs that enhance the well-being of our communities, and you will receive a UIndy beanie featured below* (limit one beanie per gift please). Your gift inspires a $10 matching gift to support communities in need. UIndy alumnus and President of Community Hospital South, Dr. David Kiley ’14, his wife Pam and family will donate $10 per gift given to UIndy on Giving Tuesday up to $5,000. 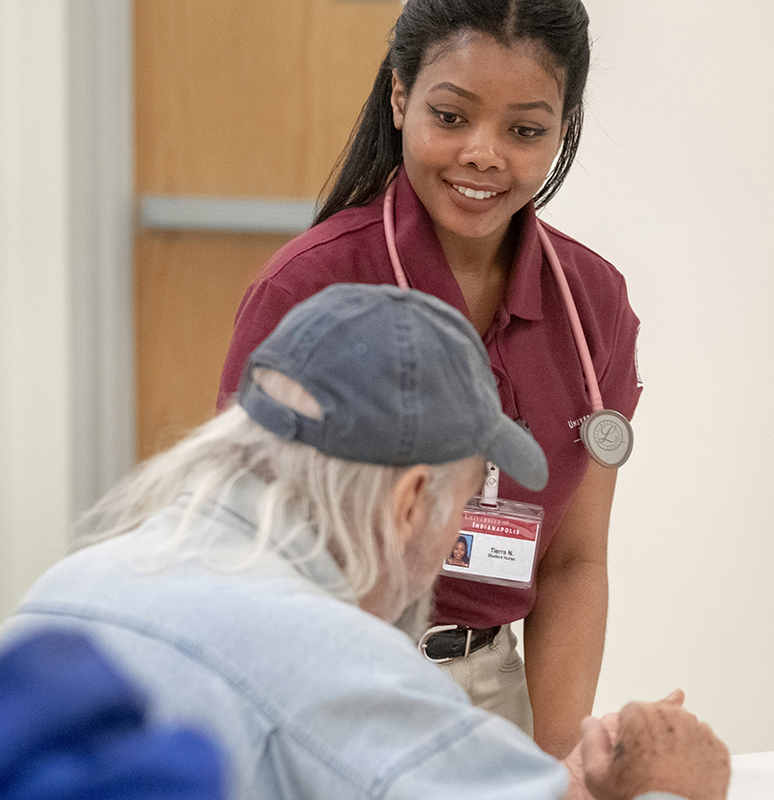 This matching gift will be used to help UIndy purchase supplies students need in order to provide health services such as assessments, screenings, treatments and health fairs to communities in need. These supplies include items like glucose testing strips, cholesterol testing kits and iPads for mental health screenings which will be used in communities like Fletcher Place and the Eastern Star Church initiative. allow students to provide health services to communities in need. At UIndy, we embrace a holistic approach to improving wellness in every sense of the word—physical, mental, community, and social. 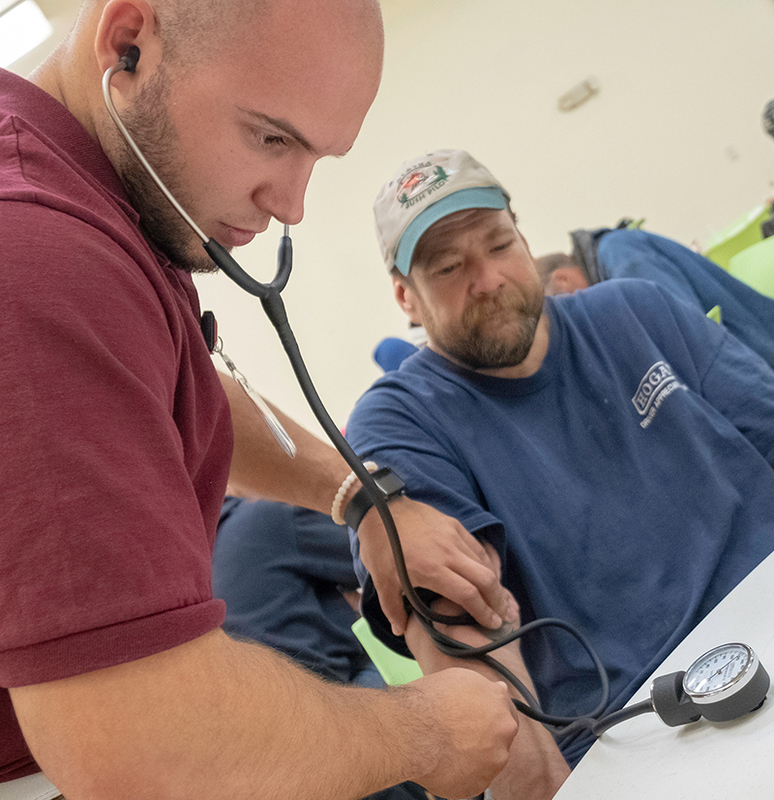 Physical Health has long been a focus of the University as we prepare students to influence well-being through nationally-ranked nursing, physical therapy, occupational therapy and athletic training programs. Mental Health is central to the concerns of our day, from addiction to suicide to gun violence to aging. Across the College of Applied Behavioral Sciences, School of Nursing, and the Shaheen College of Arts & Sciences, students are working alongside faculty to drive important research and service. Community Health requires individuals, businesses and organizations to collaborate toward common goals. Construction and facilities renovations are contributing to a neighborhood renaissance on the Indianapolis southside, a community garden was created to provide nutritious food to the local community, and the UIndy "pARTnerships" infuse cultural richness to the lives of students and neighbors. Social Health is at the core of the University's values as we continue to engage the most pressing issues of our day. Partnerships like the collaboration of the Center for Aging & Community with Joy's House to help Alzheimer's patients, service-learning initiatives, as well as the University's Master of Public Health program creates space for students to make a positive difference. Read more and follow us on Facebook and Twitter to learn more about how you can help us build healthier communities on this global day of giving! Be sure to sign up or log in on the 'Advocates' tab and share your unique links to encourage your friends to support UIndy on #GivingTuesday. When you do, you can earn incentives and track your impact! Download images for social sharing by visiting our social media toolkit. *The Fair Market Value of the UIndy beanie is $7 and will be deducted from the tax-deductible portion of your gift. If you choose not to receive the beanie, your full gift amount will be tax-deductible.